With the word ‘selfie’ recently given a place in the Merriam-Webster dictionary, app developer William Wallace is encouraging users to embrace the trend of taking pictures of oneself with Selfie-A-Day on iOS (not that many need much encouraging). 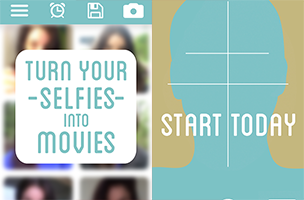 The daily photo diary app allows users to take a selfie each day, and then turns them into a movie for reliving moments time and time again. The photo journal can be used to simply document one’s life, or as a way to monitor hair growth (say, during no-shave November), the growth of a pet or child, exercise progress and much more. Selfie-A-Day offers app reminders to make sure users never miss a day on the calendar, and the app’s camera includes grid lines to help users line up the perfect shot. Once a catalog of selfies has been formed, users can search through dates to find a particular picture, or can save their created movies (like this one) to their Camera Roll for sharing to their favorite social networks, including Twitter, Instagram or Facebook. Selfie-A-Day is $0.99 on iOS. Check back soon to follow the app on AppData, our tracking platform for mobile and social apps and developers.